Re-development Works at IWC | Mathieu & Mitchell Ltd. 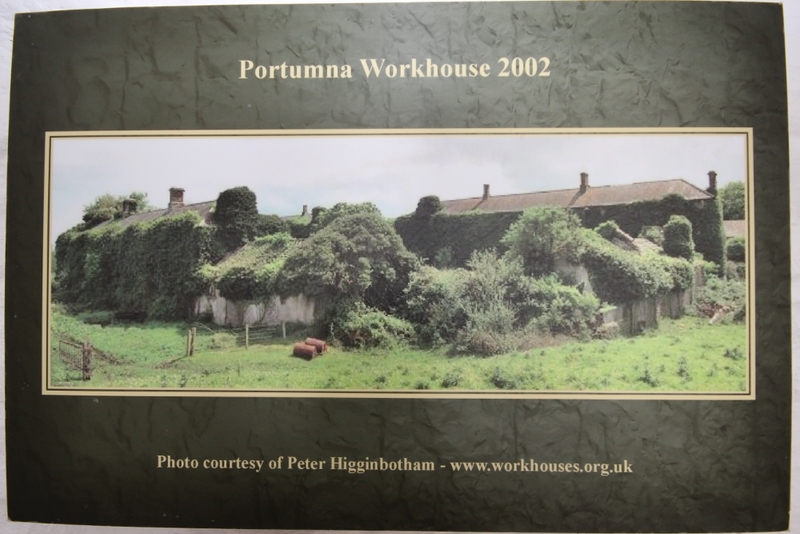 This project involved the re-development of Block A at the Workhouse complex. The building which opened in 1852 was designed and supervised by George Wilkinson an English born architect from Oxfordshire. Standing on a site of eight acres the building which was capable of housing 600 inmates it cost £7,875 including fittings. Prior to any work commencing a detailed method statement, risk assessment and safe system of work plan had to be carried out for each element of the contract. Although this took time it presented an opportunity for all involved to familiarise themselves with the job at hand and what kind of a result was expected. 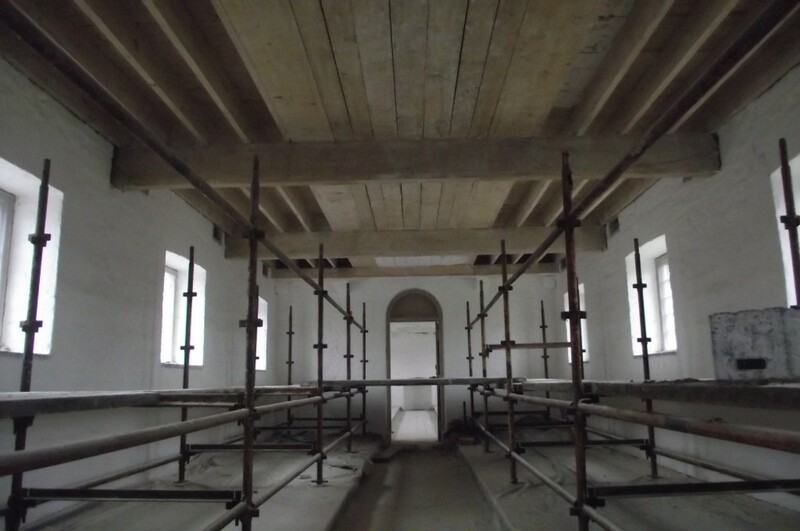 Conservation of the roof and chimneys had been carried out two years earlier. The building was in relatively good condition with a concrete floor and a large opening in the gable being the only modern additions. 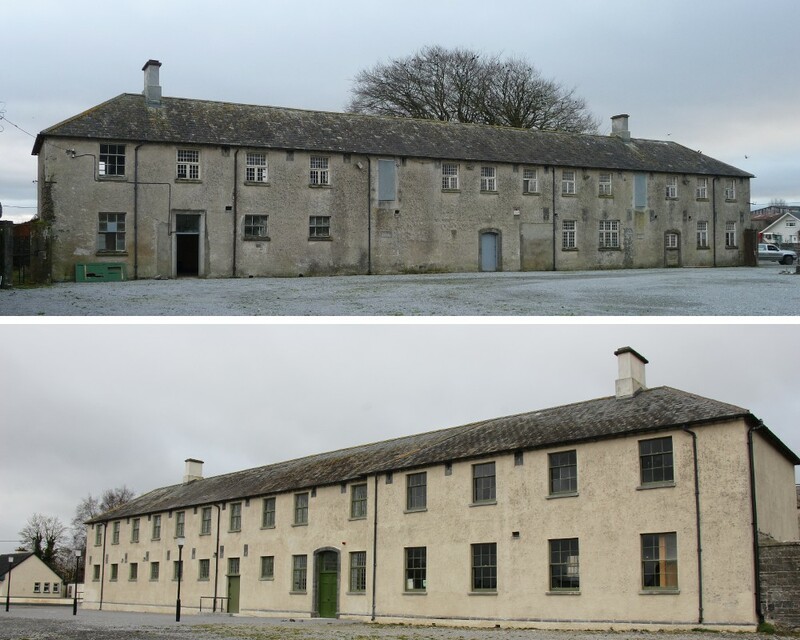 Conservation work on 46 windows and 8 doors was carried out. 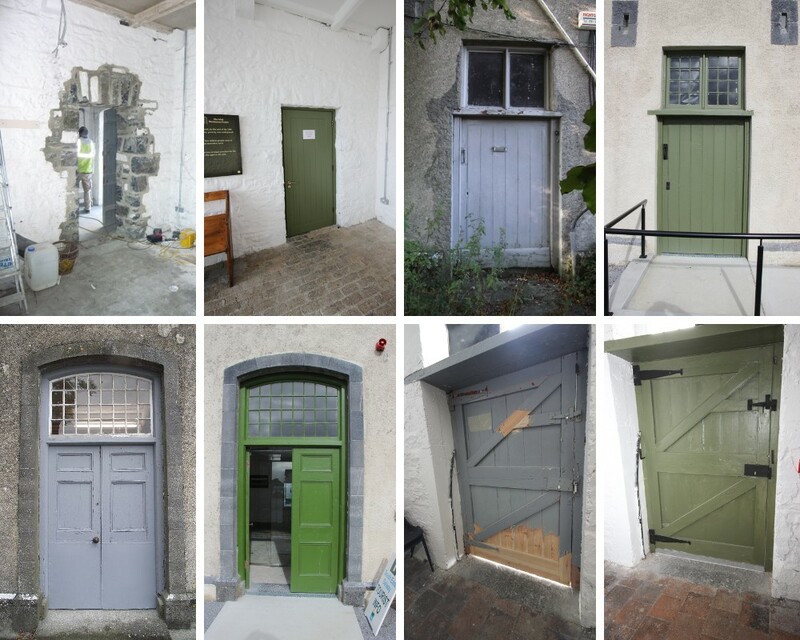 The majority of the windows and doors were repaired in-situ. Splicing work to bottom rails and cills, removal of paint, putty and ropes and the replacement of a number of pulleys and glazing bars took place. All wood work then received one coat of aluminium primer followed by two coats of breathable paint. 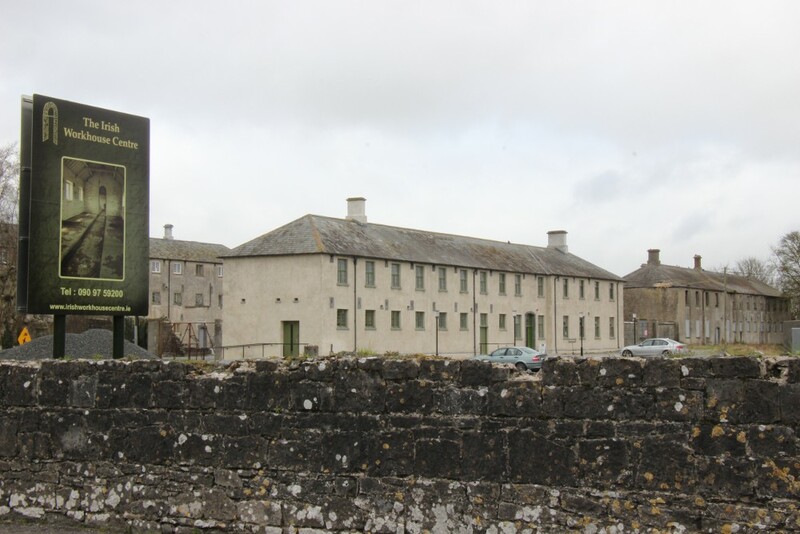 A staff canteen and toilets were built as well as a universally accessible visitors toilet block. 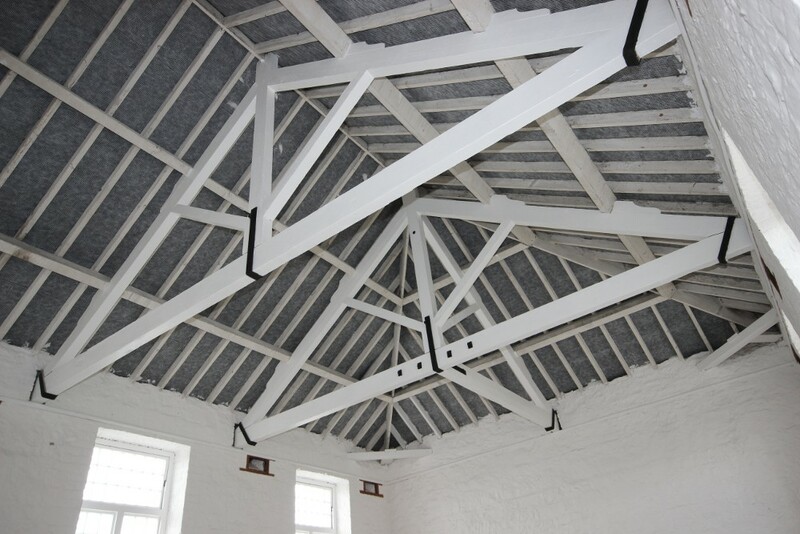 A major effort was made by all involved to make this building universally accessible and as user friendly as possible Fire proofing on the underside of the first floor ceiling using 12mm fire line plaster boards ensured that the building complied with current fire regulations. 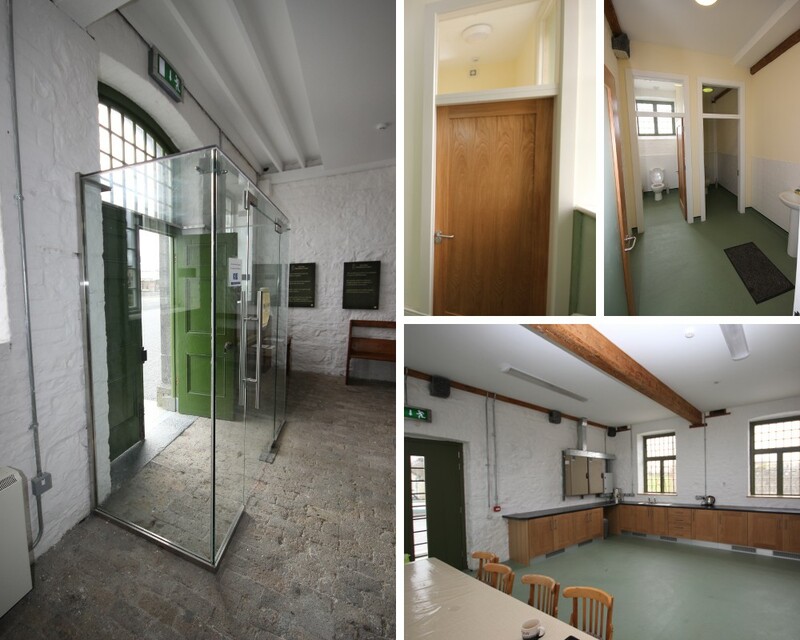 The building was re-wired, a fire alarm system and external lighting was fitted. 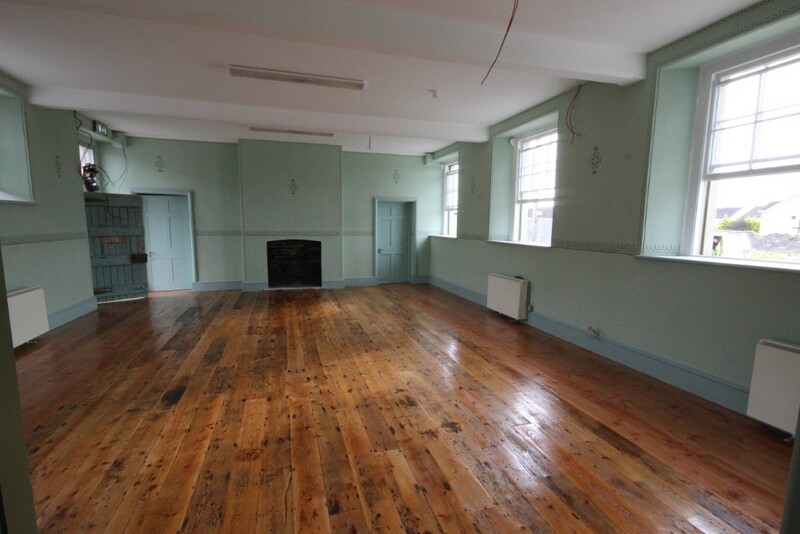 The wooden floor in the presentation room was carefully removed and stored on site. A few of the floor joists were rotten and had to be spliced with new wood. 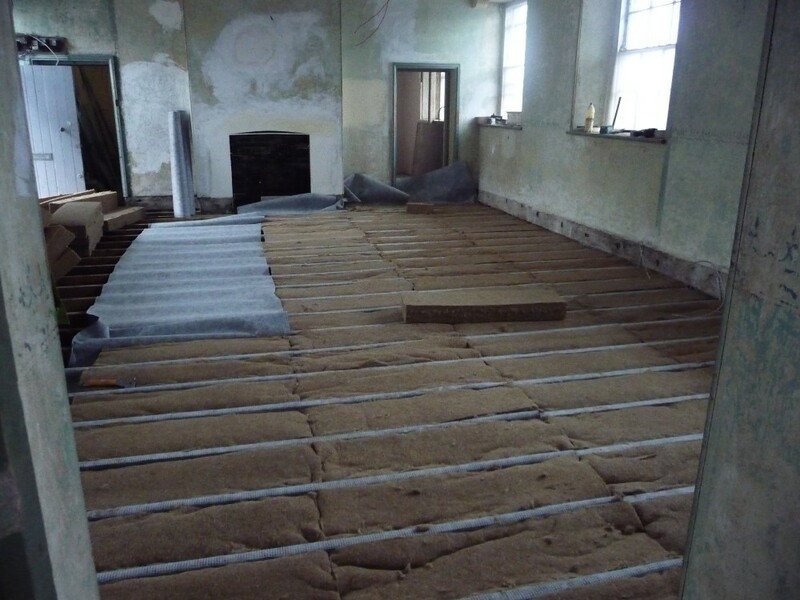 Breathable hemp insulation was fitted between the joists before the floor was re-laid. The floor then received two coats of Danish Oil. A draught lobby was fitted inside the main entrance. 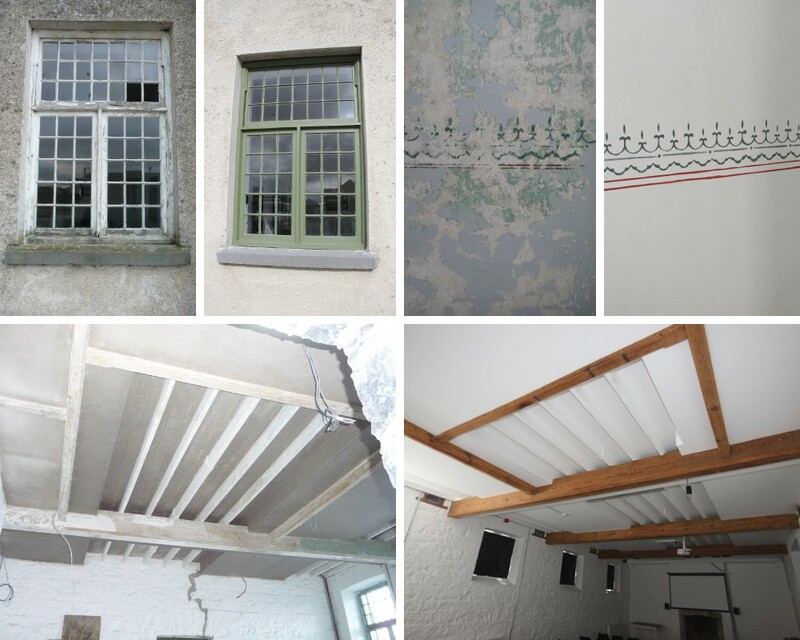 Repairs to the external lime render took place as well as rebuilding in stone the modern openings that had been knocked out and formed in concrete. In the board room we found evidence of stencil work which we were able to reproduce.